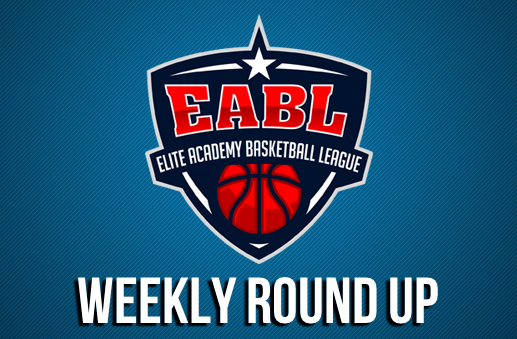 With not long to go until the EABL takes a break for the festive period, Week 10 saw a four-game slate take place in each conference. 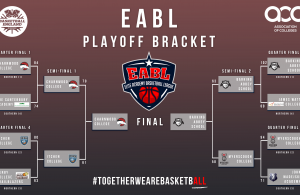 Both Barking Abbey and Charnwood kept up their unbeaten starts to the season, while there was a narrow road win for Manchester. In their first home game of the season, James Watt College secured a 37 point win with a 88-51 home victory over SGS College. Having been on the road for their first six games of the season, a return to their home floor for James Watt was undoubtedly a nice change. SGS never gave up, to their credit, but James Watt were far too strong on defence and in the open court for SGS to cause them any significant problems. It was a good first home game for James Watt, who improve to 5-2 on the season. The hosts’ effort was paced by Daniel Penkov, who added 28 points to his 12 assists, while SGS were led by Sam Chigbo who finished with nine. Manchester Magic Academy secured a 10 point win with a 45-55 road victory over The Sheffield College. A dominant second period from Manchester turned out to be the difference between the two teams as they held Sheffield to just five points in the period, before a competitive second half saw Sheffield close the gap to just two points. The hosts were unable to sustain this effort down the stretch, eventually losing by 10 points. Josh Grant finished with a game-high 19 points to pace Manchester, whilst JJ Wright led the hosts with 17. 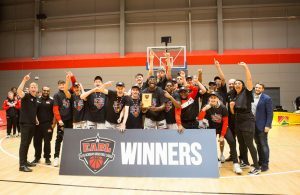 A match-up in the North East ended as a dominant win for Myerscough College, who ran out convincing 36-101 winners against Newcastle Eagles Academy. The damage was done early, as Myerscough forced multiple turnovers with their trapping zone defence, holding the hosts to a meagre five points in the first quarter. The hosts were led by 10 points from Theo Riley, while Adam Fetherston added eight and Jeremy Lievin chipped in seven. Meanwhile, Myerscough were paced by Callan Low’s 18 points, with Jamie Gray and Travis Edwards contributing 11 points apiece. Charnwood College improved to a 7-0 start in their EABL Northern Conference campaign with a strong performance over Derby, winning 106-74. The home side were hot behind the arc throughout the second half, hitting 13 three-pointers, with six coming from first year guard Greg Wild. Derby fought hard down the stretch, hitting some tough shots, but Charnwood’s up-tempo style allowed them to see the game off as a comfortable victory. Itchen College were able to pull away to a convincing 91-65 win against Oaklands College. The first quarter saw the hosts jump out of the blocks in a high-scoring quarter, going up by as many as 14, before extending the lead in the second quarter after a 10-0 run. The third would see the visitors continue to battle but Itchen kept the scoreboard ticking over to lead comfortably throughout the second half. Itchen were paced by 16 points from Peter Turay, as Matt Hughes and Jeremy Sochan added 15 apiece. Meanwhile, Oaklands had a game-high 17 points from Toby Gastaldi-Davies, as Abdul Wurie chipped in 14. John Madejski Academy made it two wins on the bounce as a dominant second quarter performance helped them on the way to a 86-65 victory over City of London Academy, behind David Chive’s 20 points. CoLA managed to cut an early deficit to single digits in the second half, but a rejuvenated JMA regained their composure to build a comfortable lead. Supporting David Chive for JMA was Sam Grant who had 17 points, while Latrell Maitland and Arinze Emeka-Anyakwo added 11 apiece for the hosts. For CoLA, Louis Norton-Cuffy led their attack with 19 points, whilst Patrick Lanipekun had 13 and Taiga Forster chipped in seven. Canterbury High School bounced back from a loss last week with a comprehensive 107-45 win over BHASVIC in EABL Southern Conference action. Canterbury led from start to finish with a dominant 56-13 first half, leading them to a routine victory. A balanced attack saw 11 players score for Canterbury, with five reaching double figures. Will Raife (24) and Milo Gordon (19) led the charge, and were joined in double figures by Josh Moore (12), Xander Vaughan (12) and Chester Morrell (10). 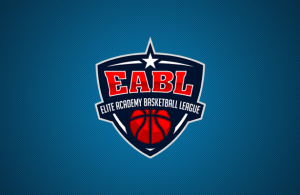 Barking Abbey School remained unbeaten, while SEEVIC showed improvement, in a match-up that ended 49-97 in favour of the East London side. SEEVIC started well, matching Barking’s offensive efforts until a crazy couple of minutes heading into the half allowed the visitors to extend their lead by 13 points. The second half saw Barking ramp up their defensive intensity; SEEVIC couldn’t break the pressure, committing silly turnovers which allowed the visitors to run away with the contest. Zayaam Ali finished with a game-high 19 points to lead SEEVIC, while Chris Feeney had 15 points to pace the visitors.